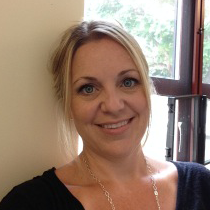 Jaime Hannans, RN, PhD, is Assistant Professor of Nursing at California State University Channel Islands. She has been teaching nursing clinical, classroom, and lab courses in nursing since 2006, while still actively working in the acute care critical care setting with 15 years experience. She is interested in the future direction of technology in nursing and education and student engagement in the classroom. Her research interests are in technology in learning, reflection, clinical education, and simulation.